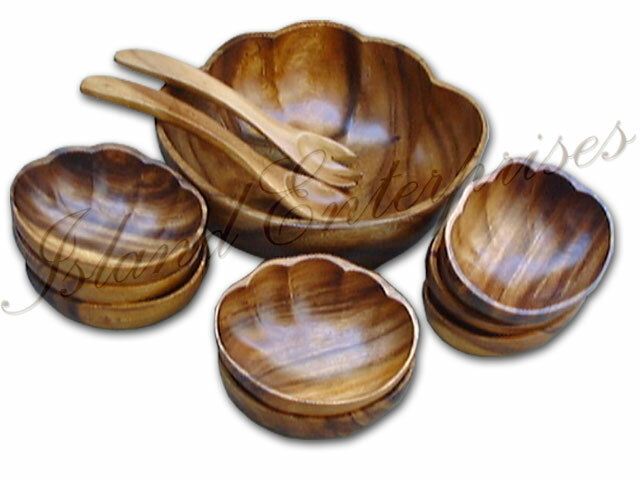 Decorate your dining table with this beautifully crafted wooden Shell Shaped Salad Bowl Set. This set includes a large, uniquely crafted salad bowl and 8 serving bowls. Add character to any meal with this set. This set also includes salad servers. And remember, we offer a 100% money back guarantee if you are not totally convinced that you have bought the best product available on the market.